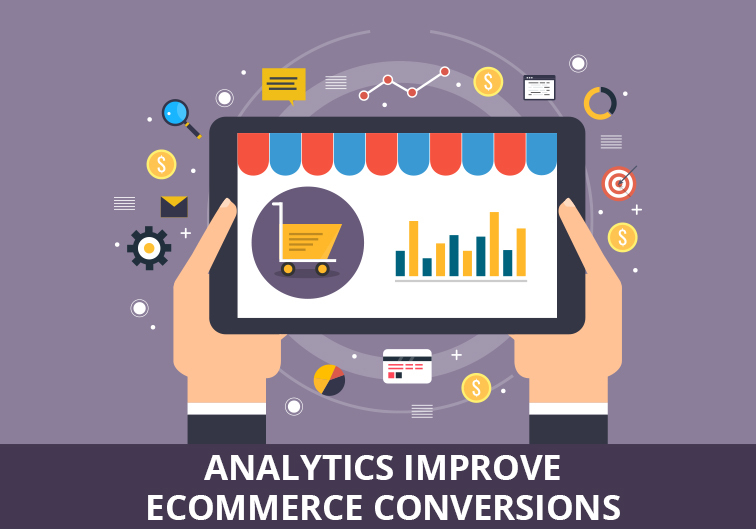 BLOG / Digital Analytics & Business Intelligence / How Can Analytics Improve Your ECommerce Conversions? At GMI, we are backed by more than 16 years of experience in building ecommerce platforms for our clients in the Middle East.We have helped several businesses set-up their ecomm ventures, from designing & developing ecommerce websites to getting them sustainable online traffic using our tried and tested SEO tactics. We have also helped them reach out to a wider audiences through paid-marketing. At the end of the day, what we have understood is that most ecommerce ventures do not understand the importance of analytics. They have a peripheral understanding about analytics but seldom do they understand how analytics can reveal deep insights which can help them improve their businesses’. Here are some use cases where we successfully deployed analytics to make a marked changed in the business’ bottom lines. Ecommerce start-ups often benefit from social media inbound marketing tactics but they seldom make the most out of it. One of the ways to leverage your social media efforts is by adding a link in your posts to bring in traffic to your website. But wait, there’s lots more you can do. You can add UTM parameters to the link to track which posts or efforts converts to visits from social channels. Using analytics, you could even figure out which posts led to the conversions on your website. This data can then be further analyzed to get real insights into what type of social-effort/activity works well for your social channels. For many e-businesses, the homepage of the website drives the most traffic. A wide variety of visitors land on the homepage, with different intentions. Many ecommerce websites have internal promotions on the homepage to attract different types of visitors. The websites will have them follow the conversion funnel and will finally lead them to make a purchase. Once you implement the right analytics, you could collect the data pertaining to these different promotional banners on the homepage. You could learn about the user journey through the purchase funnel. You will discover users who added the products or initiated the payment, but did not make a purchase. Google Analytics allows you to create an audience list, using various parameters like the ones stated above. This will allow you to target your userbase with your Adwords campaigns amplified with offers/campaigns that they are looking for. Many e-businesses get quality traffic from partner websites. These partner websites promote offers & discount coupons etc. to attract the audience and lead them to the ecommerce website. But too often the visitors coming from such websites land only on the homepage. When they arrive here, they are confused as to whether they need to re-add the offers or if it has been added by default as they arrived from the offer page. By deploying analytics, you could personalize the homepage for this type of visitors. One way is to have the website auto-add the coupon code or an offer/coupon-pop-up could be displayed when the visitors lands on the website. Many businesses opt for email promotions to attract or reach out to their customers. New ecommerce websites use email marketing software which gives them exact data on how many people opened or clicked emails, and the number of people who visited the website and more. But this isn’t sufficient to measure whether the email marketing was successful for your ROI. In order to track the entire user journey, it’s important to leverage analytics data along with the email-marketing-tool data. Powered by this information, you could target your email promotions to users who visited the website, but abandoned the purchase after adding the product to the cart. Analytics can turn around email promotions with better offers that really matter to your target group. Upselling products is a very common ecommerce website strategy to increase sales. But most often, ecommerce websites resort to pre-built plugins which doesn’t offer personalized recommendations in the “recommended products sections”. Therefore, visitors who makes a purchase tend to ignore the recommended-products section in the website. To make the most of this feature, ecommerce sites need to personalize this section at the visitor-level. That’s where analytics come into play. Analytics can help you identify patterns to make the best possible recommendations for the visitor. By analysing the behavior of your website visitors and how they respond to the recommended-products section, businesses can identify patterns which could be then used to enhance the recommendation engine. And this is just the tip of the iceberg, there is a lot more that can be leveraged to improve your ROI. That’s where GMI’s team of expert analysts can improvise a cohesive plan to ensure that your ecommerce business makes a mark in the internet space. Talk to our team today and get the best analysts in the industry to work for you.